✔ Carmel Movers can move you 365 days a year, 24 hours a day, even at night, over the weekend or on a holiday. ✔ Whether you are moving only one item or an entire household, we have the experience, equipment, professional movers, and support to handle all of your moving needs. ✔ Our professionals movers are trained, qualified, and capable of performing any move, under any circumstances. If your move requires special handling, we will let you know in advance. Our team will follow your move from the moment you first contact us for an estimate to the moment the move is completed to your satisfaction. Our team of professionals movers is courteous, trained, and capable of handling all your moving needs. They have the expertise to handle all circumstances, from the most delicate items to the most challenging pieces of furniture. They have the common sense and knowledge to go with their expertise. In short, we are dedicated to providing the best moving services in Massachusetts. Our promise for the future is that Carmel Movers will be the best professional mover in the world, in the eyes of our most demanding critics- our customers. At Carmel Movers, satisfaction is the key to our success. We staff our headquarters with the most qualified personnel available in the household goods moving industry. Because of this experience, we have the ability to promptly resolve problems that may occur. Carmel Movers system is compromised of skilled professionals providing excellent moving services. We have the customer service department to answer any and all questions you may have at any time prior to your move, during your move, and after your move. The Customer Service Department also offers constant logistical support to the movers during the move itself. We are fully licensed, bonded and insured company by the Department of Transportation and the state of Massachusetts. We can also offer you optional insurance, should your special needs require additional insurance coverage. Ask your customer service representative for information about the coverage that is right for you. 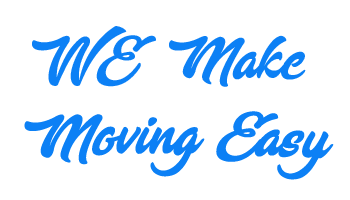 When developing our corporate identity, Carmel Movers decided to take the Ant as our logo. If you have ever watched a nature program featuring ants, you would know that they are incredibly reliable in transporting food and nesting materials. Often the distance they must cover is immense and the materials they move are much greater than their body weight. Yet working together, as if controlled by a single brain, a multitude of these industrious creatures will successfully and efficiently complete even the most difficult job. We in the relocation industry have much to learn from our counterparts in nature, whose effectiveness has been carefully honed over countless centuries.